Which consequences have organizational news on communication professionals’ media orientations? And which role plays actual media coverage compared to the communication professionals’ perception thereof? Read on to learn more! In their recent publication “Did we make it to the news? Effects of actual and perceived media coverage on media orientations of communication professionals“ Sandra Jacobs and Anke Wonneberger distinguish between actual and perceived aspects of organizational media coverage and measure their effects on communication professionals from different types of organizations. The study combined an online survey among Dutch communication professionals and a manual quantitative content analysis of the national media coverage of their organizations. The sample (N=79) consisted of 23 companies , 28 public sector organizations and 28 NGOs. The survey was held between September and November 2014 and the content analysis covered news articles between January and August 2014. The study moves beyond the organizational level and focuses on the relations between media coverage about an organization and its communication officials. Two theoretical perspectives provide the rationale for the study. Firstly, studies on reciprocal effects show that subjects of media coverage can be affected by media messages about them. The researchers assume that communication officials identify themselves with their organizations and therefore will be susceptible for effects of media coverage of their organizations. Secondly, mediatization processes play a role in the way communication professionals carry out their work. The study focuses on a specific form of mediatization, namely “mass media orientation”, which can be understood as an individual-level effect of mediatization and includes the perceptions of communication professionals regarding the impact of organizational media coverage. Media orientation can thus be considered as a reciprocal effect of media coverage. The study distinguishes between actual media coverage in the news and the communication professionals’ perception thereof. The Thomas theorem states: „If men define situations as real, they act real in their consequences.” The authors therefore assume that perceived media coverage acts as a self-fulfilling prophecy regarding the media orientations of communication professionals. The research question is concerned with the relationship between both actual and perceived media coverage about an organization on the one hand and the mass media orientations of communication professionals in those organizations on the other. Furthermore, since organizations differ amongst organizational types, the study also analyses whether this is related to differences in coverage and media orientations. Media orientation is discerned into two sub-dimensions: Attention seeking and strategic impact. The former is concerned with the degree to which communication officials consider it important for their organizations to attract media attention. Strategic impact refers to the perceived relevance of past and future mass media coverage in organizational decision-making. 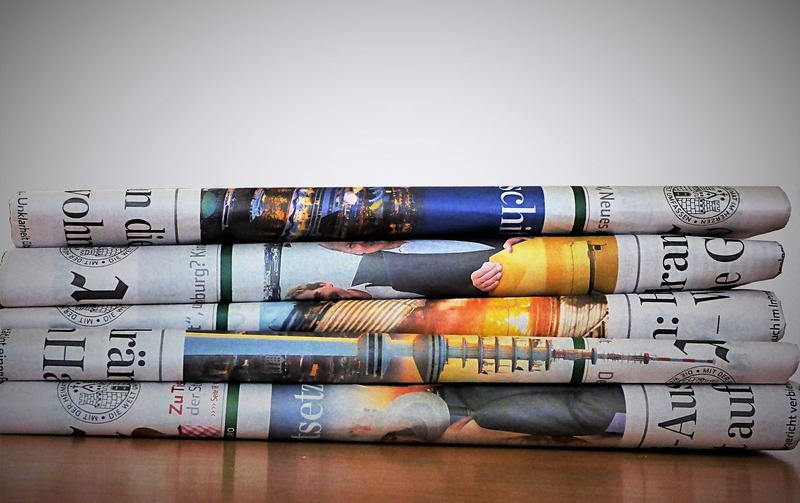 Media coverage consists of three generally recognized characteristics for organizational coverage in the mass media: the visibility of the coverage, the media favorability and the subject of the coverage. Visibility is indicated by the amount and volume of coverage while favorability refers to the tone of the article. The third characteristic deals with whether the article is about substantial (such as products, services) or organizational issues (internal, managerial issues). The study measures both actual and perceived visibility and favorability. Perceived visibility proved to be a predictor for both attention seeking and strategic impact, especially for public organizations. This finding confirms the Thomas theorem, as the more communication professionals think they are in the news, they more important they find the coverage in their decision making. In contrast, actual visibility was less influential. For media favorability, on the other hand, the findings show that actual positive coverage – not perceived favorability –was associated with higher levels of media attention, again, especially for public organizations. Attention seeking appeared to be most important for NGOs, which is in line with the social movement literature which states NGOs are particularly dependent on media for public support and fundraising. The study shows diverse effects of actual and perceived media coverage and the relevance of discerning between types of organizations, as these effects mainly apply to public organizations. For more information check out the article in Public Relations Review and get acquainted with the details of the research.